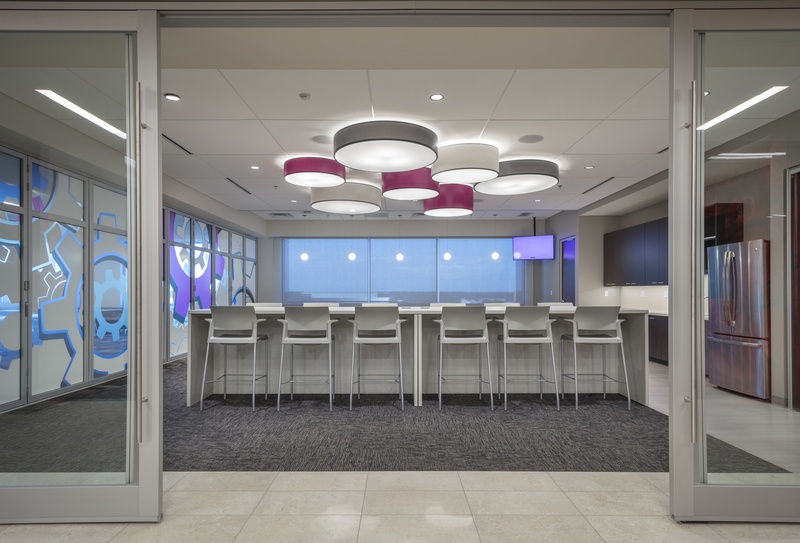 Mariner’s new amenity-rich and energetic headquarters building was designed with employee comfort, collaboration and productivity in mind. The office is an open and dynamic space that encourages and promotes communication and collaboration among associates. The two-story office is connected by an open communicating stair that directly connects all employees and is the focal point of the office. A feature wall adjacent to the stair showcases an original piece of art designed by Mariner employees. 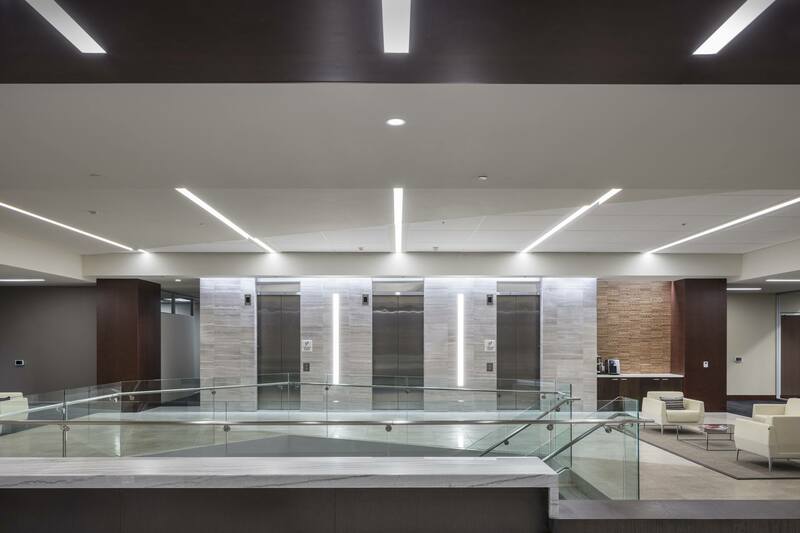 Adjacent to the staircase is a large multipurpose room with a folding glass wall to divide the space for meetings, breaks, training and social events. 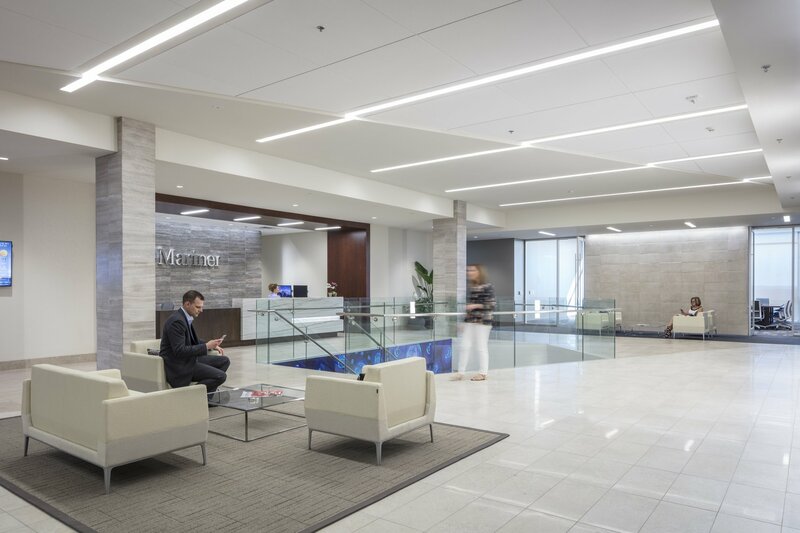 Natural lighting was essential to creating the type of environment desired by the Mariner team. Furniture selection suits employees’ preference for flexible working styles and includes standing and seated desks, treadmill desks, and portable presentation stands for pop-up meetings anywhere, anytime. Writable surfaces were incorporated into offices and conference rooms. An exterior balcony accessible from the coffee bar provides a casual and relaxing space for informal outdoor meetings and breaks. 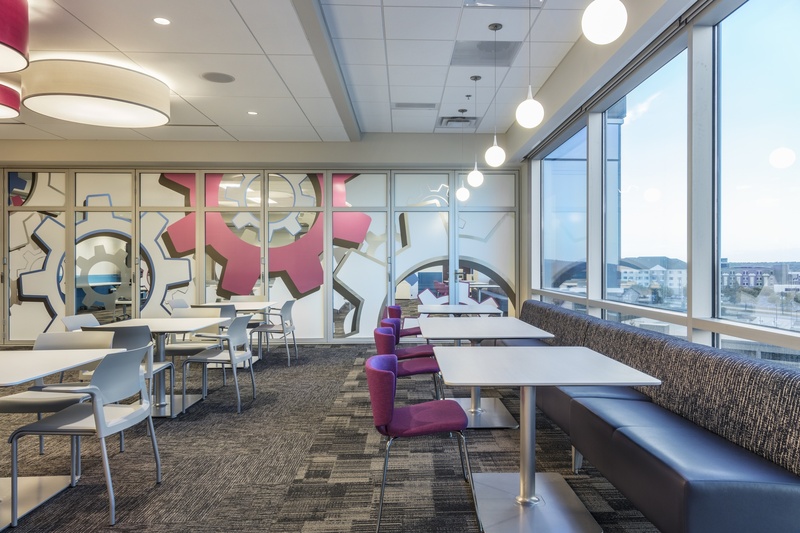 A modular wall system will ensure the company can adapt to new and changing demands for space and technology. The color palette mirrors the Mariner brand and features pops of color for visual interest. The technology infrastructure features a Passive Optical Network (PON) for data cabling. The system uses fiber for network cabling instead of copper – a space-saving and high-efficiency solution. 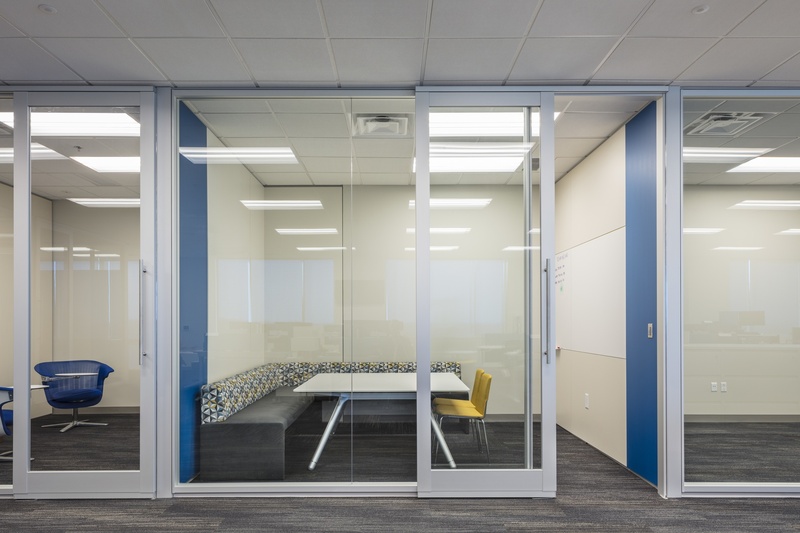 Data closets were significantly reduced in size, which creates more space for employee amenity and break-out spaces. 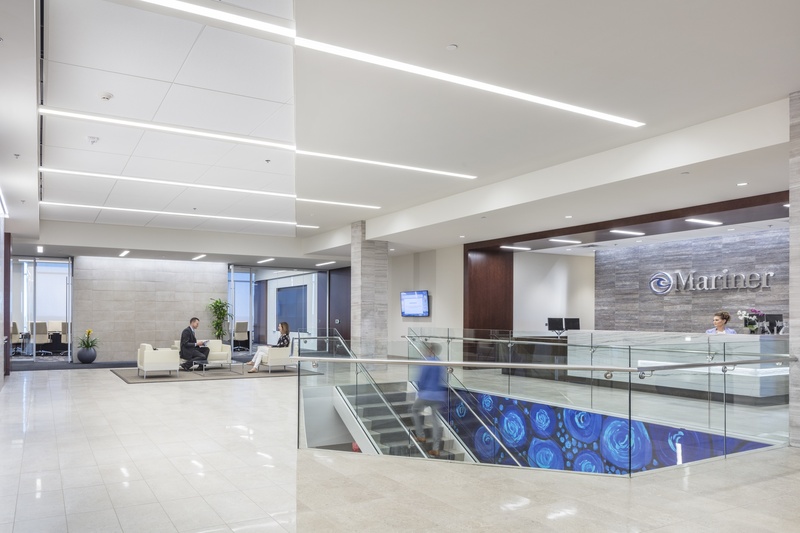 Monitors are mounted directly into the wall which saves space and elevates the visual impact of the high-tech space while facilitating real-time communications with associates.